Those of us in the Miami warehouse industry are patiently awaiting Post Panamax and the potential dredging of the Port of Miami harbor. 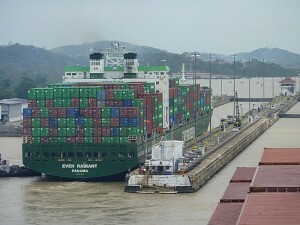 In 2014, the Panama Canal will be able to serve the supertankers and the largest container ships (i.e. Post Panamax). Given Miami’s international trade routes and relationships, we will be a likely recipient of increased cargo entering the Port of Miami also called the “Cargo Gateway of the Americas”. The Port of Miami serves over one hundred nations and imports over 4M tons annually. 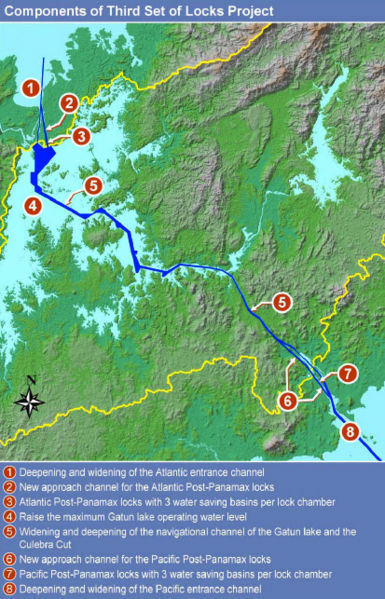 As soon as $75 million is secured, the channel will be dredged to a depth of 50 feet which will receive the largest of cargo ships passing through the Panama Canal. Visit Port of Miami Cargo to learn more. Also, click here for a great map to the Port of Miami Tunnel. Presently, the Miami warehouse market is about 250,000,000 square feet with about a 9.6% vacancy rate. If the channel is deepened, will Miami have enough warehouse space to hold the influx of more Miami cargo containers? ComReal Miami’s prediction is probably not. Just a couple years ago the vacancy rate for Miami warehouses was under 5%. The significance of having a 50′ channel combined with Post Panamax will surely make Miami a prime destination for cargo ships to unload their containers. Fortunately, there is still plenty of vacant industrial land to build new, class A warehouse buildings. In addition, older generation, less functional buildings with lower ceilings can be demolished and/or renovated. Miami could potentially foresee new class A warehouse spaces with at least 28′ clear ceilings and possibly an increase in active railroad served warehouses by both FEC and CSX railroads. Properties near the Port of Miami and/or the Miami International Airport with railroad access could become in higher demand. One such warehouse in Miami is The 7000 Building. This 127,000 sq. ft. is located near MIA on the FEC Rail. It is dock height, sprinklers throughout with all concrete construction. The property is currently available for sale or lease. It is ideal for large volumes of cargo and freight. Visit www.MiamiAirportWarehouse.com for more details. If you are interested in more information on the warehouse in market in Miami, please contact The Miami Warehouse Team at 786-433-2380. We help serve our domestic and international customers with their local Miami industrial real estate needs.